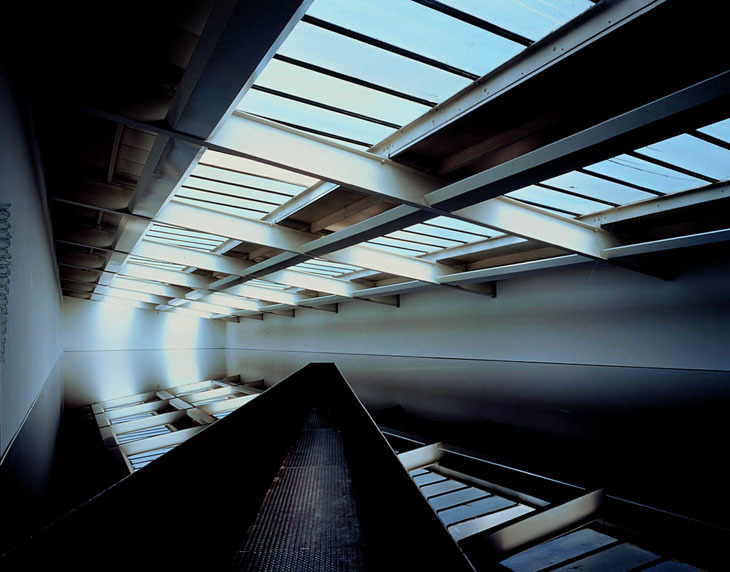 What we are in fact referring too is the work of Richard Wilson R.A. Born in the UK, Wilson is a renowned sculptor who has been internationally recognised for his work in intervening in architectural space, drawing heavily on theory and practice in engineering and construction. Wilson's work was recently brought up on the It's Nice That blog, giving blogger Alex a bit of a flash back to a childhood visit to the Saatchi gallery when it was in St. John's Wood. A little more research and it was revealed that Richard Wilson's 20:50, the work cited by Alex, has a permenant home wherever the Saatchi gallery goes. With oil and oil companies being such a hot topic in the news at the moment, it seemed a particularly timely post that brings to light an interesting, creative use of a substance that is so controversial in contemporary society. Having been with the Saatchi Gallery, since 1991, 20:50 allows visitors to take a walk out into the oil field via a walkway that brings the viewer into the space with the oil at waist height. Offering a perfect reflection of the upper part of the room on it's surface, the oil acts as a perfect mirror of the surrounding gallery architecture. Very entertaining to see if you get the chance, although it comes with a strict warning that the oil is indelible so don't wear your Sunday best and as tempting as it is, try not to touch it. You can also see photographs of the work on the artists website and on the Saatchi Gallery website.